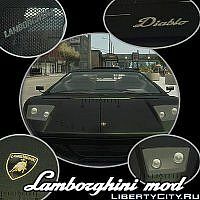 Now through the streets of Liberty City will drive a real Lamborghini! An interesting idea, to turn Lamborghini Aventador into a crazy Monster truck. What has turned out of this and what features of this miracle, we look at the video! 616 людей скачали, а отзывов никаких ппц !